Let me say right up front this is one of those extremely rare times that I will be forecasting extreme events to come within the next few weeks. Those who have followed my reports know I do not take such announcements lightly, hence the relevance of coming events. There are two main areas of concern which are at the bases of this report. First, is the coming full solar eclipse occurring on August 21st 2017. 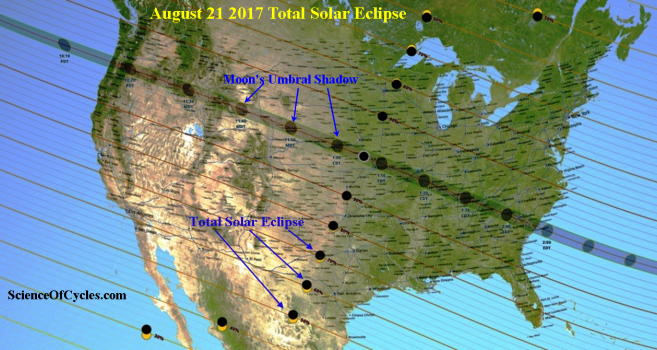 This event will be along the geographical area of the United States, beginning off the Oregon Coast and heading southeast through Georgia. History has shown a connection between eclipse events and an increase of earth changing events which include earthquakes, volcanoes, hurricanes, and extreme weather events. My published research identifies it may be the rapid temperature variations which can cause a shift (however slight) to Earth’s lithosphere (upper mantle). The full eclipse can also cause rapid temperature variations with our Oceans causing a destabilizing (however slight) in local atmospheric conditions which could contribute to extreme weather event including the escalation of tropical storms to hurricanes. The second area of concern is the latest data showing an increase of cosmic ray radiation by 13% in Earth’s atmosphere measured over California, and a larger count of 19% measured over New England. This study was conducted by both amateur and space agency scientists using high-altitude space weather balloons and data gathered from commercial airlines. The reason for the differences of increase in dose rates is the varying strengths of Earth’s weakening magnetic field. 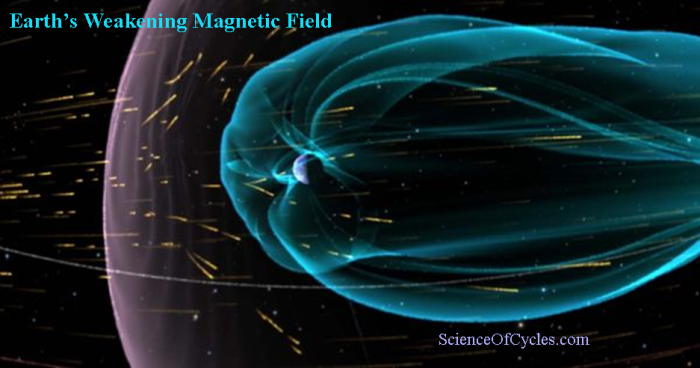 The evidence of a weakening magnetic field, coupled with a deep solar minimum, is allowing an alarming amount of galactic cosmic rays to enter our atmosphere and has a significant influence of Earth’s core. I am setting up a link for you to help me with this project to keep us informed of the latest research and breaking news. I need to register with specific journals and research sites which average about $100 each. I would also like to attend one or two symposiums attended by the top scientists in the world, who will present their latest research regarding these topics – and before it ever hits the journals or news organizations.